“But it is something that I can’t obviously manage, so I just need to accept it. “I am very proud that Liverpool paid that much for me to come and play for their club. The only thing I need to do is work hard and work well for the club. “But I am progressing myself as a player, with different tactics, different environment and a lot of pressure in every game where you need to win is something that I like and what I love to do. Van Dijk’s late shot against Everton on Sunday led to the stoppage-time goal by Divock Origi which gave Liverpool a dramatic 1-0 win and kept them from falling off the pace in the title race. 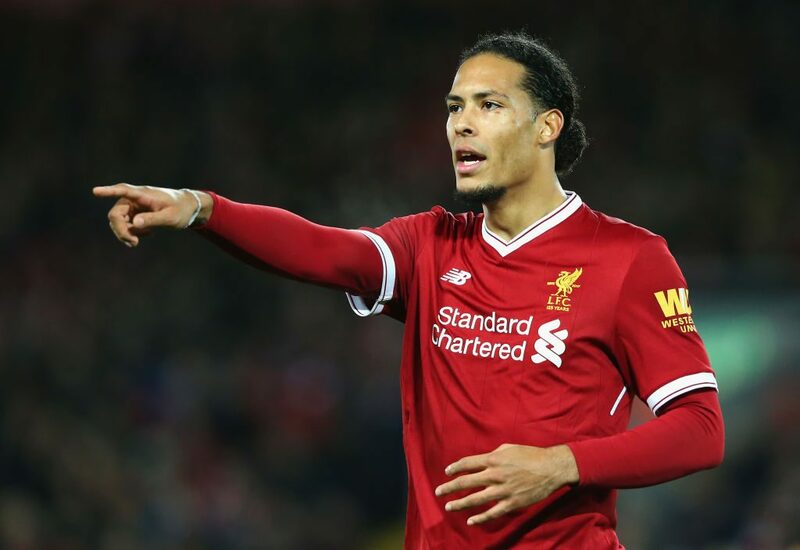 The top two appear to be pulling away, but Van Dijk claims that it is too early to discount the threat of Arsenal and Chelsea in the title race. “I don’t see it as a two-horse-race,” he said. “If you look at everyone around us, Chelsea, Arsenal, then everyone has been doing brilliantly so far and it’s going to be very interesting. “It will be very difficult, but we need to look at ourselves. That’s the only thing, what is best for us. “I don’t think it [late winner against Everton] means anything at this point. The thing is, we have so many games still to play and so many difficult ones for everyone in the league. “Obviously, we want to keep winning, keep doing what we’re doing and we need to look at ourselves, that’s the most important thing. Then we’ll see if it’s going to be close. “We believe in each other, we know what we are capable of, we know we are very difficult to beat and very difficult to get a result from. “But to score in the dying seconds if always something special, and especially in the Merseyside derby. “Obviously, we all have a lot of ambitions, we all want to win things, but I think it’s too early to look too far ahead.